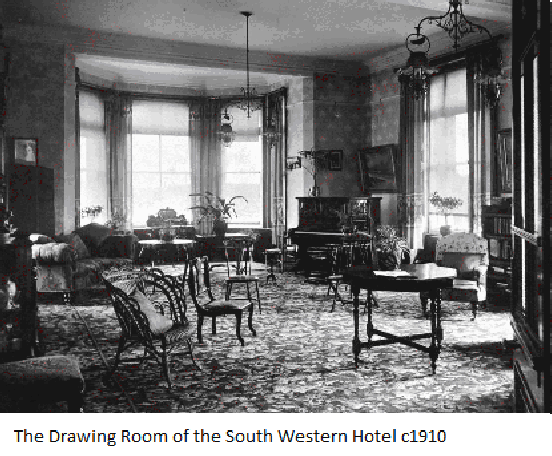 Esther Jane Polsue Mogford (1907-1990) spent several years of her early childhood living with her aunts in The South Western Hotel, now The Metropole, in Padstow. 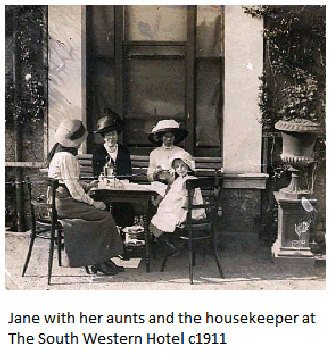 Her aunts, Kate and Jid, were managing the hotel. When Jane, as she was always known, started her handwritten recipe book she thought of it as the patchwork quilt that she intended to make and leave to her granddaughters. Instead she made a cookbook. Most of the recipes I have acquired from other people or adapted from books to suit the occasion and my pocket. Some I have picked up along the way and others I have made up ‘out of my heed’. 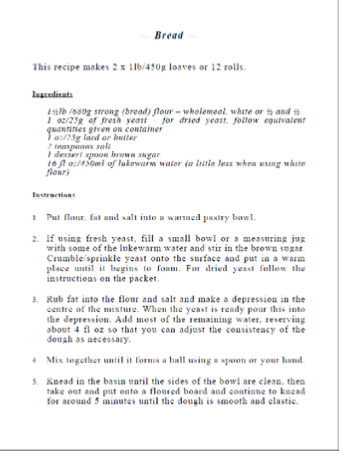 Kay Bevan from Lostwithiel, Cornwall, has just published an updated version of her mother’s cookbook, A Cornish Grandmother’s Family Favourites. It is now available from Amazon as an e-book which can be read on Kindle, PC, Mac and a variety of mobile gadgets. This collection of over 80 recipes was originally written to hand down traditional Cornish cuisine to younger generations in the family and it contains many Cornish staples such as Pasties, Saffron Cake and ‘Likky’ Pie. 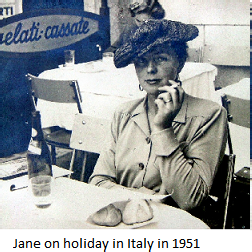 In addition, there are recipes that were collected from several other parts of the world during Jane’s lifetime. Some of the recipes date back to the nineteenth century though these have been updated for modern cooks. All the recipes are clearly set out with clear step-by-step instructions. The recipes, arranged according to the four seasons, are designed to use fresh seasonal local produce and avoid processed food with artificial additives. Older readers will find recipes that evoke their childhood and young readers will be introduced to some forgotten treats. Intertwined with the life experience of the original author, the recipes give insight into how cooks and cooking have changed. The book is thus an unusual mix of cooking and social history.